Imagine having your very own walking, talking bear living under your roof, sharing every aspect of your life? The story starts with black and white newsreel footage of an English explorer living with a family of intelligent bears in “Darkest Peru.” Cut to the present day and we are back in the jungle, only in colour now, where we are privy to the antics of young Paddington (voiced by Ben Wishaw) and his Uncle Pastuzo (Michael Gambon) and Aunt Lucy (Imelda Staunton), who are making marmalade, a substance for which they developed a taste through their encounter with the Englishman. Regrettably though, after an unfortunate accident, their jungle idyll is disturbed and Paddington winds up stowing away on a cargo ship bound for London. There he hopes to find the old explorer who told the bears that a ‘stranger’ could always find a home in dear old England. When Paddington meets the Brown family, he is reluctantly taken back to their home and that’s when all hell breaks loose. The Browns are comprised of a rather wary Dad (Hugh Bonneville) and a kind-hearted Mum (Sally Hawkins) and their children Jonathan (Sam Joslin) and Judy (Madeleine Harris). Their household is maintained by the very sage and somewhat eccentric Mrs. Bird (Julie Walters), who thinks nothing of a talking bear crossing their threshold. Being unused to living in a house, Paddington causes havoc when he goes to the bathroom and rapidly wears out his welcome. Meanwhile, the evil taxidermist Millicent (Nicole Kidman), has got wind of this wondrous creature walking the streets of London, and she enlists the help of the Brown’s cranky neighbour Mr. Curry (Peter Capaldi) in capturing Paddington, who she wants to… well, stuff. Paul King has written a really funny script including some nice on-screen moments with Matt Lucas as a taxi driver and Jim Broadbent as an antique dealer. In fact, all the performances are spot-on, especially those of Hawkins and Bonneville. Nicole Kidman effortlessly carries off her ‘baddie’ role in killer heels, ably supported by Capaldi, the nosey neighbour. Credit must also go to young actors Joslin and Harris, who develop a loving relationship with Paddington, who is perfectly voiced by Wishaw. The on-screen brother and sister will be the envy of every kid in the audience. There is also a colourful group of Calypso musicians who regularly appear as a kind of Greek chorus, subliminally reminding us of Paddington’s dilemma – that of being a refugee searching for acceptance and a home in a strange new land. Every detail of the way Paddington looks, speaks and moves is of paramount importance if the audience is to successfully engage with him. VFX and CG Supervisor Andy Kind and Animation Director Pablo Grillo, along with the VFX team at Framestore, were responsible for creating the little bear and found it more challenging than anything they had worked on previously. 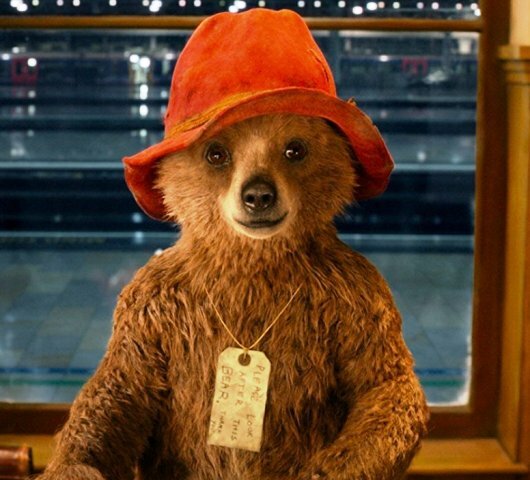 Of the process, Kind has said, “Designing a wholly computer-generated character is always very tricky - Paddington is entirely CGI and a very physical character, and how he interacts with the ‘real world’ is incredibly important in helping us believe in him - getting it right, down to the little details of the wind ruffling his fur, or his tummy wobbling as he walks, is crucial to making him entirely realistic within his environment.” Difficult it may be, but he and his team will convince viewers (and not just little ones) that this bear would make a far more interesting pet than a cat or a dog!